I have a reputation for being a Dragon (the rarer female variety) but I am much nicer in real life. You might also know me as a magazine publisher and in more recent years as a television presenter, radio broadcaster and author. But I am also a widow, a single mum, a former nurse and a passionate advocate for social change towards that elusive dream of equality. I like to kickstart badly needed conversations through my writing or broadcasting whether it is in the area of racial prejudice, homelessness, women’s rights or dying with dignity. I also believe in the power of enterprise and entrepreneurship. Everyone has the ability to be their own boss regardless of their social background, age or area of expertise. What drives me on is the belief that I can, in my own infinitesimal way, effect change. You are as likely to find me talking to a group of transition year students as MBA graduates. And my choice of television and radio programming will always reflect who I am and what I believe in. I wanted this space at norahcasey.com to curate and share stories, thinking and life lessons in the hope that it sparks a conversation with you, albeit a virtual one! 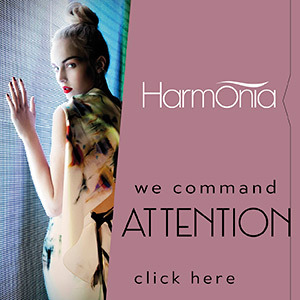 Planet Woman has pioneered a unique learning and development digital offering specifically designed for women. It is based on the simple yet powerful premise that all women deserve to be who they want to be. The Planet Woman Academy is based on the simple yet powerful premise that all women deserve to be who they want to be, to fulfil their true potential. The theme for the 5th Planet Woman Academy is Real Stories Real Women. 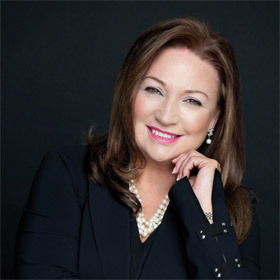 Norah Casey pioneered a new approach to learning through the Planet Woman Academy and designed a programme exclusively for women. You won’t find any power points or boring speeches. This is a day of high energy and powerful nuggets that will inspire you. And for those who come along wanting to change the course of their career or life-plan this event is transformative. The Academy is a safe space where the real secrets to achieving success are unearthed and analysed. Norah Casey delves into the minds of a brilliant line up of women and men to uncover what really sets them apart and how they achieved success. As regular Academy goers know this is a day of startling admissions and honest revelations. My story is no different to many. As a high achieving business woman I was by no means living life in the slow lane. I was at the helm of a successful magazine publishing company, a Dragon in Dragons’ Den and an investor in many businesses here and in Great Britain. But one of those great side swipes in life, the death of my beloved husband (business and life partner), left me bereft. It forced me to reevaluate my future and to find another way to live life full on again. My book Spark! is the story of that journey but much more besides. I found a way, it may not be for everyone, but it was right for me and it triggered enormous changes and transformations in my life. The story of Richard and me and the aftermath is the backdrop to an incredible journey of discovery which owes more to science than anything else. Spark! has inspired many people to kickstart the rest of their lives and achieve all that they set out to achieve. I hope it does the same for you. Spark! was published by Penguin Ireland in October 2014. Click here for an online version and a sample chapter appears in my writing section of this website. © Copyright 2016 Norah Casey & Harmonia Ltd. All Rights Reserved.